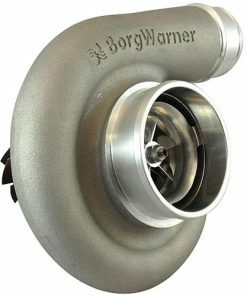 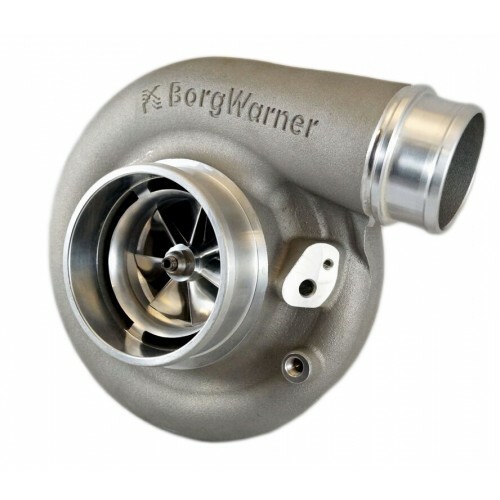 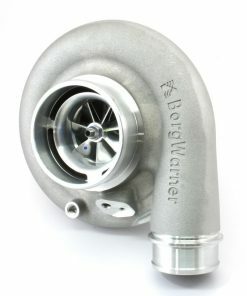 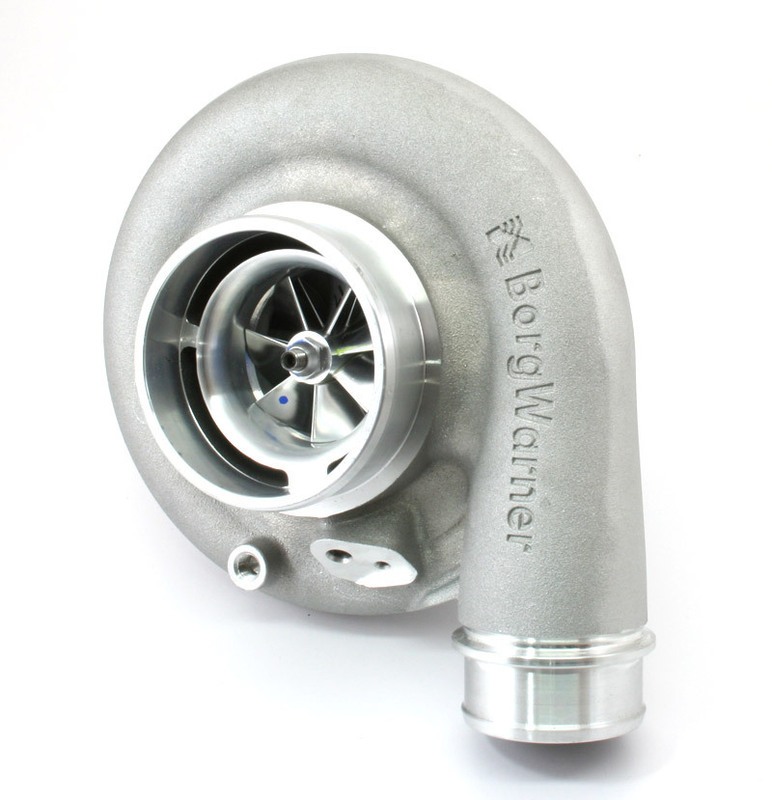 Shop for the Borg Warner 366 SXE turbocharger for your truck. 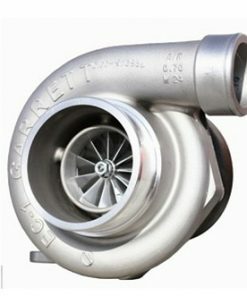 Get low prices and fast shipping when you order yours today. 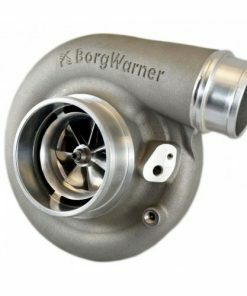 The Borg Warner SXE turbo line introduces the latest in turbo technology. 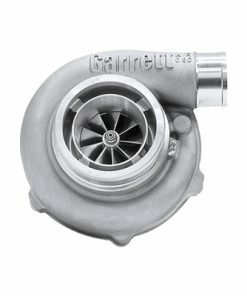 With a new/redesigned compressor housing and a Forge Milled Compressor wheel (FMW), the SX-E turbos not only outflow their SX3/4 counterparts by a substantial amount, but they spool faster and come standard with a 360° thrust-bearing, allowing them to last longer and run higher power levels. 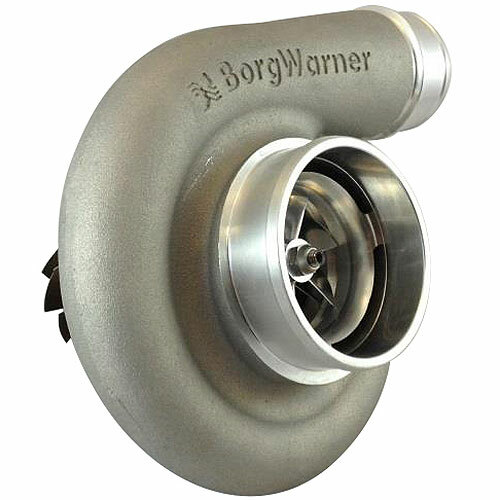 Get the most out of your truck and ahead of the competition with a Borg Warner SX-E turbo. 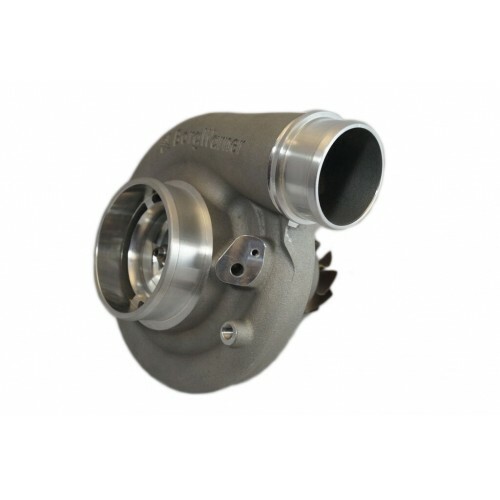 Commonly used as a moderate single turbo or as a large secondary (small/bottom turbo) in compound turbo set-ups, this S366(SX-E) turbo flows up to 87lbs/min. 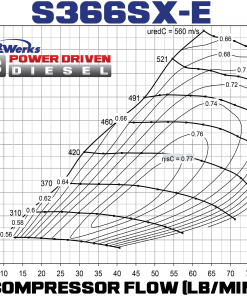 That’s enough flow for a maximum of 700+HP! 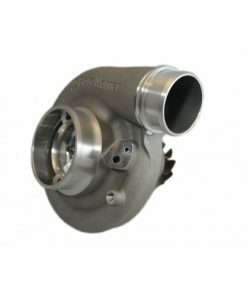 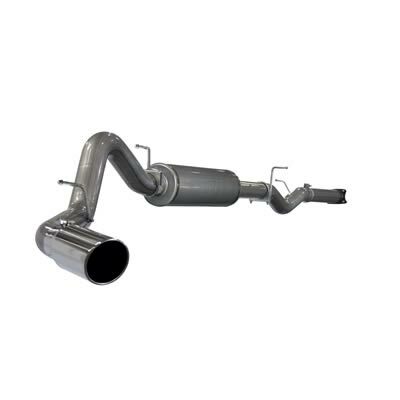 Utilized as a single turbo, this specific turbo has been and still is a popular application for someone who wants 500-700hp out of their truck but can’t afford compounds, but can also be used in a compound set-up where it is compounded in conjunction with a larger aftermarket turbo. 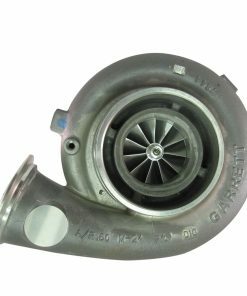 Whether you want to finish the quarter mile in record time, make a full pull with a sled, or dominate the dyno, this turbo will help get you there. 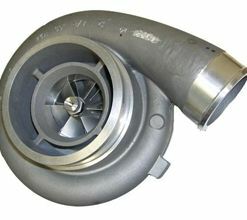 Power Driven Diesel does not recommend this turbo for towing applications because of its size. 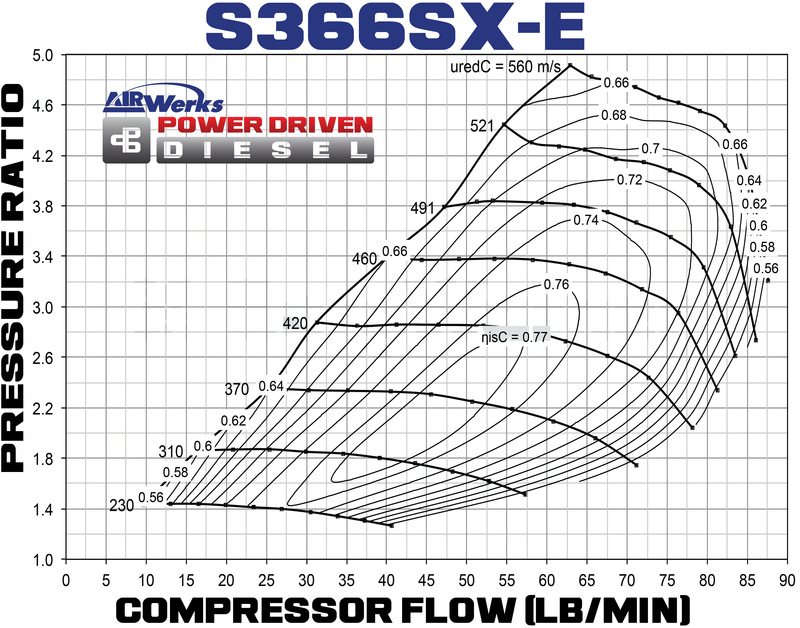 For best towing results we recommend keeping your stock turbo or upgrading to the S362sx-e, you can also check out our compound turbo systems for maximum towing performance.